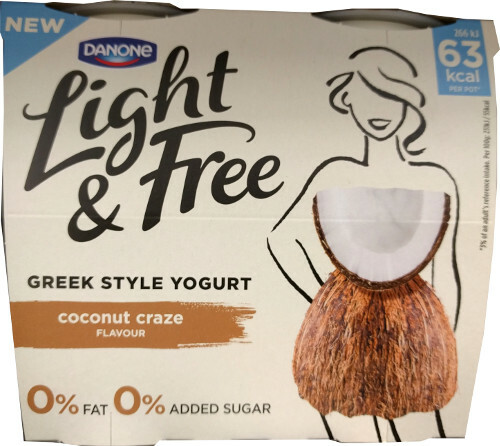 Since I wrote about the new Danone Light & Free yogurts last year, Danone have brought out two new flavours: Coconut Craze and Lavish Lemon. 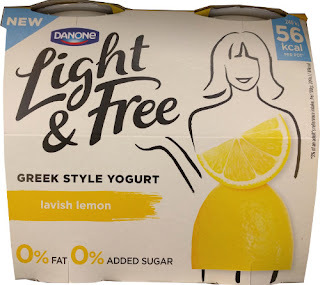 Like the others in the range, these yogurts come packed as 4 x 115g pots and have 63 calories and 56 calories per pot respectively. I’m not that keen on lemon flavoured yogurt, but I adore coconut, so decided to see what the Coconut Craze variety was like. Since first trying out Light & Free last year, I’ve been buying the strawberry flavour on a regular basis. I love the flavour and chunky bits of strawberries and find it’s a useful snack to eat if I’m not really hungry but just mindlessly fridge gazing / grazing! The Coconut variety had a lovely coconut smell with a nice creamy texture. 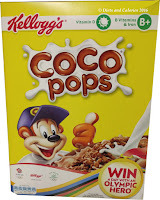 There were a fair few coconut bits throughout although they only account for 0.6% of the ingredients! 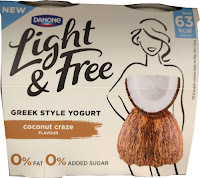 I’ve tested a lot of coconut yogurts over the years and in the low fat, low calorie range, this is definitely my favourite. It is artificially sweetened unfortunately so you’ll have to take this into consideration if you’re thinking of purchasing Light & Free yogurts. Personally, I’m not happy about eating artificial sweeteners and have mainly switched to using Stevia. 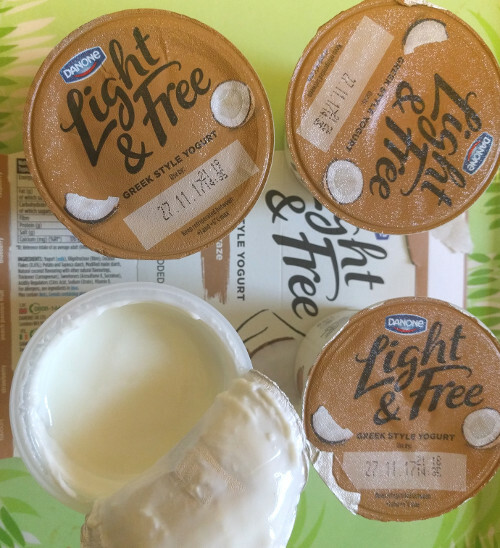 But they’re a teeny part of my overall diet which is pretty good, so I don’t give myself a hard time about eating them sometimes. 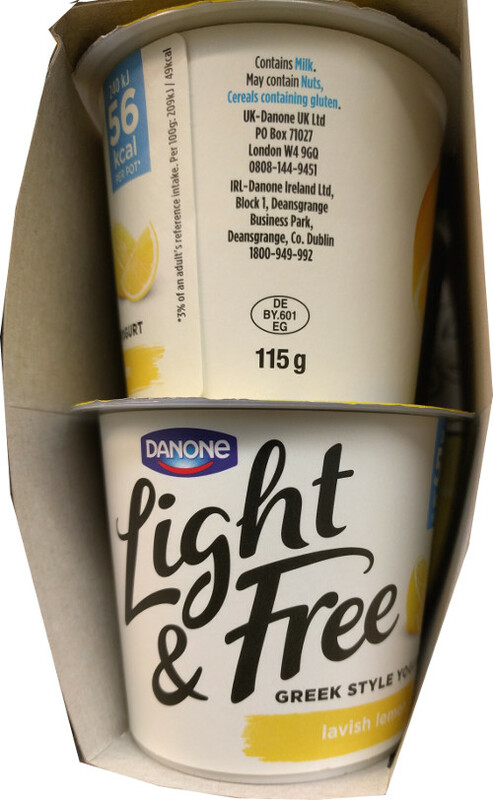 Danone Light & Free yogurts have been on sale at 2 for £4 virtually since they were introduced. 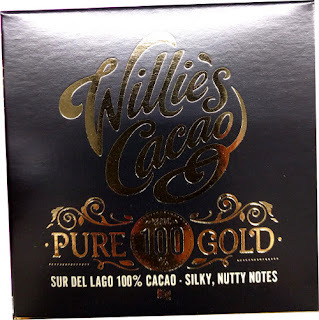 But at the time of writing, they are at full price of £2.50 (depending on the supermarket). They are widely available at most main supermarkets. 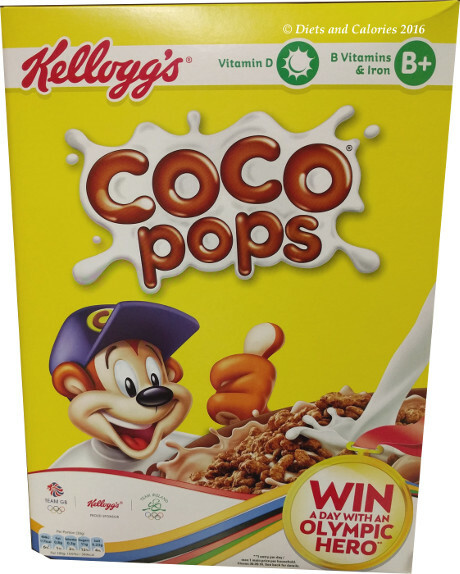 Ingredients (Coconut Craze): Yogurt (Milk), Oligofructose (Fibre), Coconut Flakes (0.6%), Potato and Tapioca Starch, Modified Maize Starch, Natural Coconut Flavouring with other Natural Flavourings, Thickener (Carrageenan), Sweeteners (Acesulfame K, Sucralose), Acidity Regulators (Citric Acid, Sodium Citrate), Vitamin D.
Just discovered Danone Light & Free individual pots in Tesco. 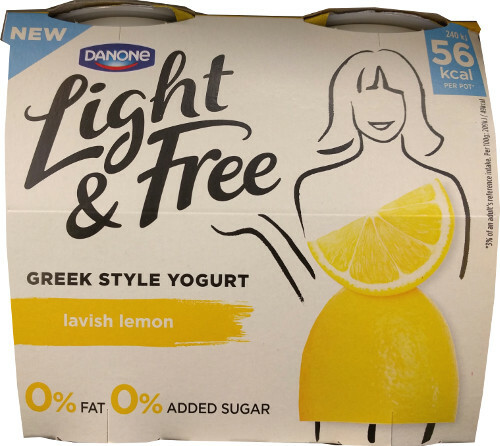 They are available in single 150g pots and come in varieties: Lemon (74 calories), Blueberry (75 calories), Strawberry (75 calories) and Peach & Passion Fruit (68 calories).